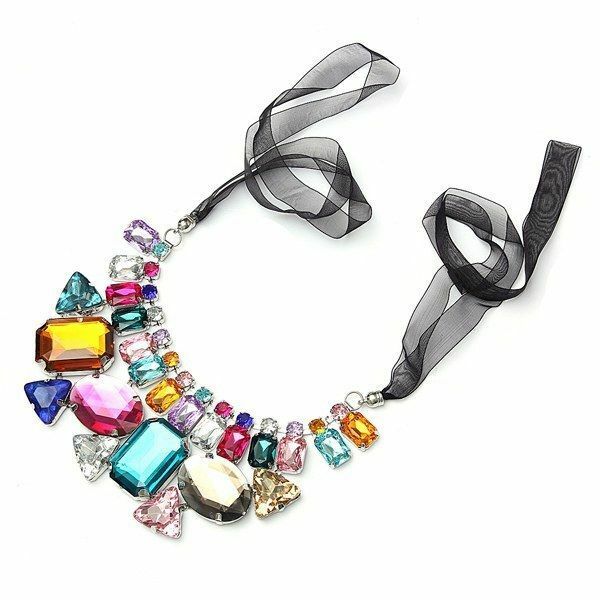 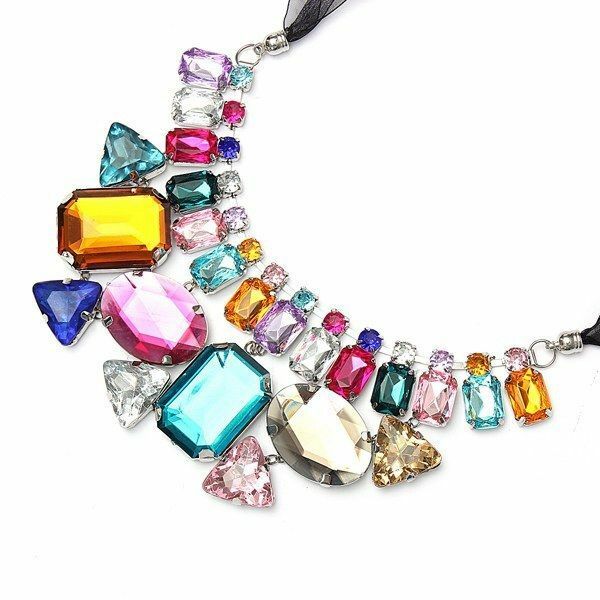 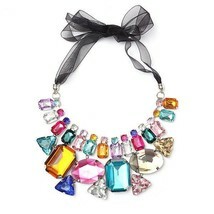 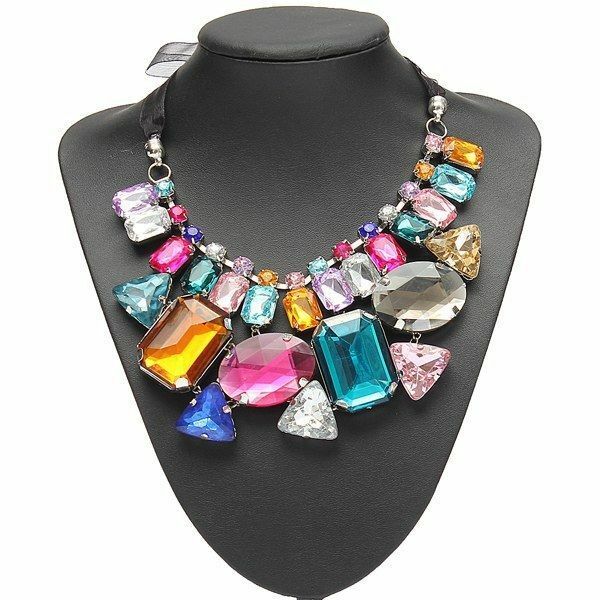 Type: Crystal Statement Necklace Material: Alloy, Ribbon Main Stone: Crystal Color: Multicoor Pattern: Geometry Shape Gender: Women Pendant Size: About 18.5cm x 7.5cm Total Length: About 84cm Weight: About 60g Package Includes: 1 X Big Crystal Statement Necklace sku: mem-239 Notice: 1.Due to the difference between different monitors, the picture may not reflect the actual color of the item. 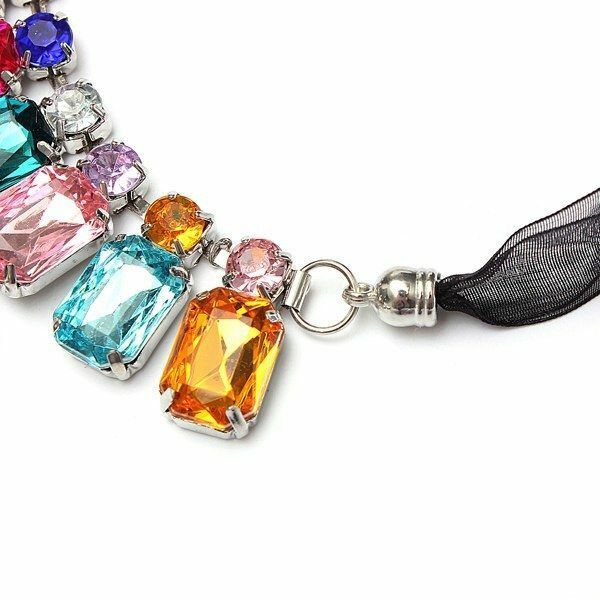 Please consider this before the purchase. 2.Please allow slight deviation for the measurement data.